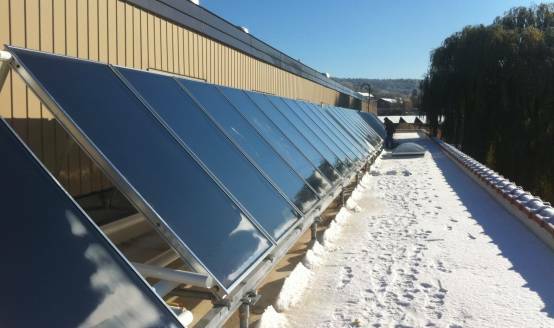 In 2010, Shift Energy was contacted by Preservation of Affordable Housing (POAH) to provide a Design/Build solar hot water solution to this 113 unit apartment complex in Claremont, New Hampshire. The facility had an aging domestic hot water system that was proving costly to operate. Shift Energy assisted POAH in developing a project scope for a TD Bank grant application, which was successfully awarded in late 2010 totalling $100,000. Design commenced in February of 2011. 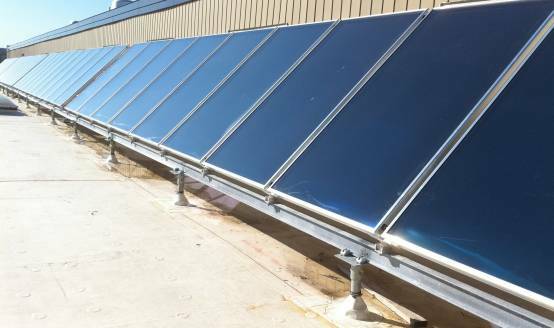 Final historical, City and NH PUC Solar Rebates were completed by the summer and the system was released into production & installation. Construction commenced in late August and was completed over a five week period with the installation of 40 collectors, structure, racking and all pipework, heat transfer station and accessories. 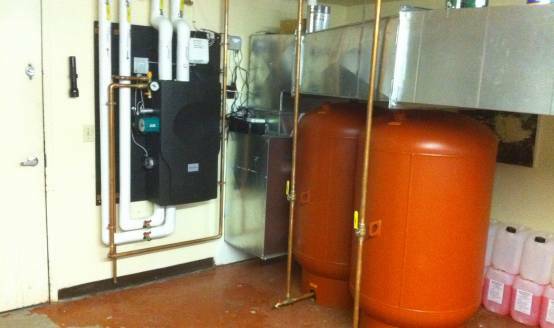 The system was commissioned in late October 2011 after a comprehensive boiler upgrade came on-line. 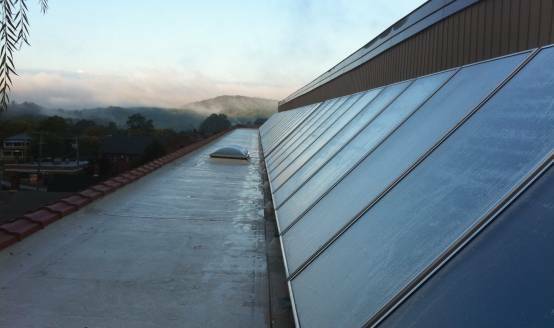 This system is one of numerous projects Shift Energy has completed with POAH, and is a testament to POAH’s commitment to make a significant impact on energy reductions and efficiency.